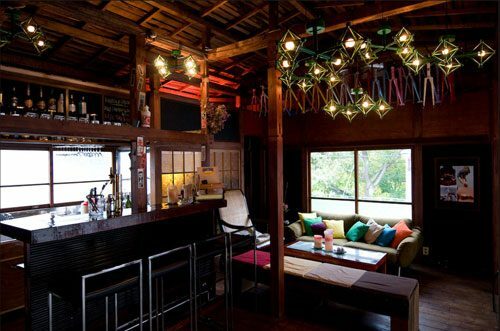 … at the new Kinfolk bar in the Nakameguru section of Japan’s exponentially growing scene. Not only can you ogle the Keirin frames hanging from the rafters, but you can get your drink on and even buy a Keirin-inspired track bike that bears the same name. The Kinfolk track bike’s history can be found here. The Brooklyn brownstones threw me off for a second!